Indian Railway Standard Drawings - Indian Railway Standard Drawings design by the code issued by the Railway Board and as per Research Designs and Standards Organisation (RDSO). Indian Railway Standard Designs - Where Indian Railway Standard designs exist, they invariably follow for all new works and no modification of such designs introduce without the previous approval of the Railway Board. Engineering Scale Plan for each structure to be construct. Diagrams of connections at track, line and other loops, as necessary for each track to be lay. Detailed drawings for all bridges and culverts. 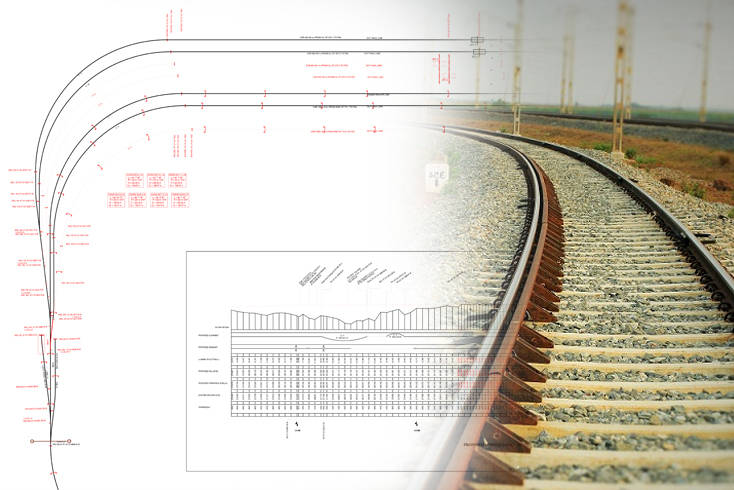 Detailed working drawings of “L” Section, Cross Section, Layout etc. Preparation of Land Licensing drawing as per requirements.